Amazon Prime Video review | What Hi-Fi? Gone are the days when Amazon was the go-to website for only books, CDs and DVDs. Now the shopping Goliath is vying for your custom anywhere, anytime and in any way it can – not least in the digital realm. It wants you to download books from its Kindle Store, stream music from its Prime Music catalogue, and subscribe to its Amazon Prime Video service. The latter has had plenty of different names over the years (Amazon Unbox, LoveFilm Instant, Instant Video…), but has always been in direct competition with Netflix. That’s not an easy place to be, as fellow video streaming service NOW TV would concur. At the time of our last review of the service in 2014, it was a silver medalist in a two-horse race. We praised Amazon’s extensive catalogue and wide platform support, but found its subscription packaging was confusing and needed simplifying. Two years is a lifetime in the fast-moving digital realm, so it’s hardly surprising that much has changed: the size of its catalogue and number of subscribers has gained traction in a big way, and while it still nests within Amazon’s all-encompassing website, the service has been considerably simplified. There are two cancel-anytime subscription tiers, both of which offer a 30-day free trial: Prime Video for £6 per month, which is the Netflix-rivalling video streaming service, and a £8 per month (or £70 upfront) Prime membership that adds ad-free streaming of Prime Music, unlimited photo storage in Amazon Cloud Drive, and one-day shipping service on select Amazon-stocked products. Amazon Video – the subscription-free on-demand and rental part of the website, available to everyone and anyone – has also been worked into the Prime Video and Prime offering, with select titles also available to subscribers. And the fate of Amazon-owned LoveFilm? It’s still with us, but clinging on as a postal service. Prime Video (and Prime) subscribers have access to over 15,000 movies and TV episodes – more than enough to satisfy the most ardent couch potato. It has grown considerably since 2014, when it was a little over 2000. Size isn’t everything, of course, and while there are a fair few oldies – who wouldn’t want Fist of Fury 3 and all eight series of Downton Abbey available at the touch of a button? – there is no shortage of new releases either. In fact, while new films (Neon Demon, for example) and hot-off-the-lens TV shows (Season 7 of The Walking Dead) are only available to buy or rent outside of the subscription offering through the 38,000-strong Amazon Video service, the Prime Video catalogue still tends to be quicker to newer titles than Netflix. A fair few of last year’s big hits such as the Macbeth adaptation, Academy Award-winning Spotlight and nominee Room are present, as well as films that had theatrical releases just months ago, like A Walk in the Woods. Titles are constantly coming and going, but Amazon’s own content is on the rise too. In 2011, Netflix began the trend of producing its own original content, and Amazon has clocked on. Since 2013, Amazon Studios has produced TV dramas, comedies, documentaries and children’s programming under the ‘Amazon Originals’ umbrella: Bosch, Hand of God, Mad Dogs, Alpha House and The Man in the High Castle, to name just a few. Exclusive to Amazon, they all fall under the subscription tier, and with many now in a second season and some renewed for a third, it seems Amazon is doing something right. Indeed, Transparent won a Golden Globe award in 2015 for best TV series (musical or comedy), and the much-anticipated The Grand Tour, fronted by petrol-heads Clarkson, Hammond and May, has surely already secured a fan base since the first episode aired on 28th November. Amazon Originals’ Ultra HD content is available under the Prime Video and Prime subscription tiers at no extra cost, for anyone who has a 4K TV with the 4K-supporting Amazon app (like the LG OLED65E6V and Samsung UE55KS7000) and an internet connection of at least 15Mbps. Currently it’s the cheapest way to stream 4K content, as Netflix only offers it under its £9 per month Premium subscription tier. There are a few 4K Amazon Original shows also available in HDR: all three seasons of Transparent, both seasons of Mozart in the Jungle, and the first seasons of Red Oaks, Mad Dogs and The Man in the High Castle, to get you started. While these 4K and 4K HDR offerings aren’t comprehensive enough to sideline Full HD altogether, they are on par with Netflix. For those prepared to splash out, Amazon Video offers more to rent or buy. New release Concussion currently tops the bill at £27, accompanied by other releases at £20. Netflix was first to support Dolby Vision (Dolby’s alternative to the more universal HDR 10 version of HDR) and Amazon has followed suit by offering the likes of Bosch and Sony Pictures Home Entertainment films in the Amazon Video section – albeit only in the US for now. 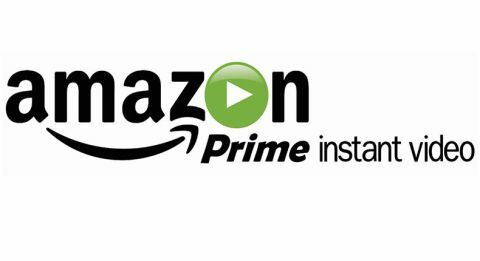 Far from being limited to PCs and laptops, Amazon Prime Video can also be used on Android and iOS platforms, thanks to mobile apps. It’s also available on the Fire TV and Roku media streaming sticks and Xbox and PlayStation consoles, and has become common on TV and Blu-ray players’ smart offerings. Apple TV remains a gaping hole in its platform support, although you can always AirPlay it to the Apple TV from the iOS app. Similarly, there’s no native support for Google Chromecast, but you can cast a laptop or phone screen from a Google Chrome web browser or Chromecast app to your telly. The user experience is much improved across all platforms. The service is still buried in amongst the Shoes & Bags and Sports & Outdoors categories in the search bar menu, but it’s now much easier to browse and filter what’s included with your subscription and what isn’t. In ‘All Videos’, content included with Prime is indicated with a sash, and categories are clearly flagged in blue to avoid confusion. Want to see what’s available under the subscription service? Use the filters to strip out paid-for content, so you can choose to see just TV shows or movies. The web platform adds extra tick-box filters like genre, release date, actor and certificate. Like Netflix, the home interface is a busy banner list of seemingly endless categories: Ultra HD TV, Amazon Originals, Highest Rated TV and Movies Out This Week to more obscure 2016 Emmy Award Shows, Movies in French, and our favourite: 90 Minutes or Less Movies. Below there’s tabs for your Video Library (content you’ve purchased) and Watchlist (content you’ve flagged to watch later), as well as a handy search bar for when nothing but old episodes of The X-Files will do. We wish HDR programming had its own tab, but our only other gripe is that when you return to the menus, you are taken back to start of the list instead of where you left off – frustrating for those partial to casual browsing. No longer does streaming mean noisy pictures and buffering waits you could boil the kettle during. But neither does high-definition streaming bring the absolute crispness and subtlety of the Blu-ray. The quality gap is narrowing though, with streams from Amazon consistently sharp, clean and punchy. On the audio front, Amazon supports multi-channel up to Dolby Digital 5.1, so you get an improvement in sound to match the step up in picture quality. The high-definition stream of gangster film Legend, starring Tom Hardy, contrasts with the bleak streets of 1960s East End. But there is plenty of definition in the gleaming cars, PVC dresses, the shine to the Kray brother’s slicked-back hair and the anxious faces of their imminent casualties. Navy suits and mahogany interiors have a richness that gives their club the intended sense of grandeur, and thanks to a sense of smoothness and poise, the brutality of the fistfights will have you grimacing, rather than distracted by any motion blur. In our opinion, paying out for a 4K telly is worth it for streams alone. Bosch in the higher resolution is notably sharper than HD streams, glossier and cleaner too. Our praise for HDR streaming is more reserved, as it is with Netflix streams too, the benefits considerably more noticeable on the 4K disc format. Amazon Prime Video has undoubtedly matured as a video streaming service. It offers a vast and attractively up-to-date catalogue – uniquely inclusive of 4K and HDR material – under a subscription that’s competitively priced and much simpler to grasp than before. The opportunity to easily open your wallet wider to what Amazon Video offers is a bonus, as is the option to incorporate Amazon’s shopping and other digital avenues for a few quid a month extra. MORE: Amazon vs Netflix - which is better?